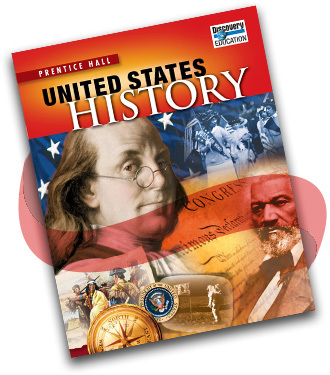 Prentice Hall United States History (High School) provides content that connects students to history by helping them explore enduring issues of American History through the American Issues Connector feature, the Reading and Notetaking Study Guide with American Issues Journal, and online Web Quests. 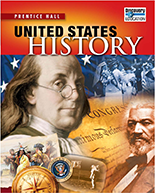 This highly acclaimed US History program provides tools & textbooks that enable students to experience history through stunning visuals, the Experience It! Multimedia Pack, and chapter-by-chapter project-based assignments. 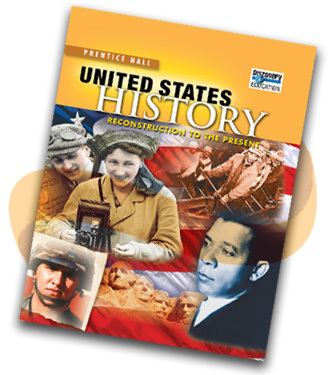 Prentice Hall United States History enables students to succeed on the high-stakes standardized assessments with a variety of progress monitoring tools, textbook chapter assessments, and Success Tracker™--benchmark testing which provides remediation. Developed to meet the needs of courses covering Origins of a New Nation to the present. Developed to meet the needs of courses covering United States history from the Civil War to the present. Developed to meet the needs of modern United States history courses. 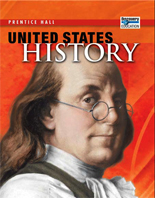 This text includes a review unit bridging early American history content before studying modern times. Leverage the Understanding by Design® instructional approach, developed by program consultant Grant Wiggins, to enable students to develop a deeper understanding of the history of the United States. 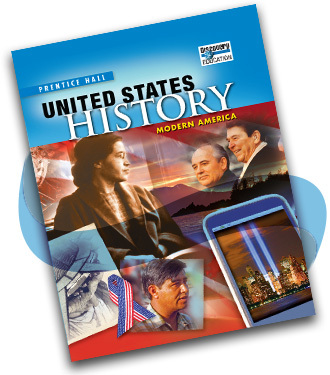 Listen to what teachers have to say about Prentice Hall US History and how this program has helped their students excel.